The Radiation and Public Health Project (RPHP) is a nonprofit educational and scientific organization, established by scientists and physicians dedicated to understanding the relationships between nuclear radiation and public health. One of its primary goals is to encourage the interchange of ideas and contacts among people engaged in radiation health effects research or otherwise interested in the field. Thus one emphasis of RPHP is sponsoring and conducting meetings, lectures and symposia for persons interested in research related to the health effects of radiation. 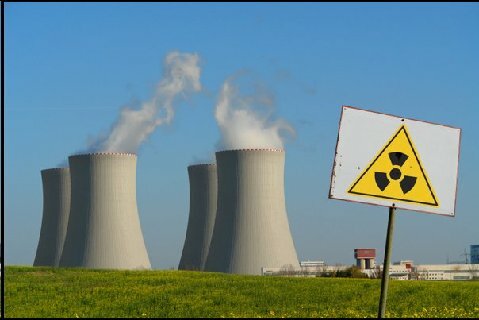 RPHP Releases Journal Article Showing Thyroid Cancer Rates Near Indian Point Nuclear Reactors Are Among the Highest in the U.S.
A major battle over the future of New York’s energy policy is being fought at Indian Point, 75 miles south of Albany, New York. The battle is not just about energy, but public health. Any decision on the future of Indian Point should be based not just on energy needs and costs, but on public health interests. Joseph Mangano spoke at the Clearwater reception regarding Indian Point held October 10, 2008 at the 79th Street Boat Basin in NYC. On May 13, 2008, RPHP held a press conference on health risks of Indian Point to Fairfield County CT, releasing a new report on the health risks Indian Point poses to Connecticut. Speakers included Joseph Mangano, Connecticut activist and breast cancer survivor Gail Merrill, and Fairfield Town official Larry Kaley. Fairfield County has the highest average Strontium-90 level in baby teeth in the New York metropolitan area (except for the New York Counties closest to Indian Point). It also has a child cancer death rate above the U.S. average, even though all other causes of death in local children are below average. The event, held in Westport CT, drew coverage from at least seven Connecticut and New York media. On November 12, 2007, RPHP released a detailed report on the health threats posed by the Indian Point nuclear plant at a press conference in New York City. The report contains much original research by RPHP on radioactive contamination from Indian Point, and on unexpectedly high cancer rates near the plant. The Indian Point nuclear plant, 35 miles north of midtown Manhattan, has three reactors, two of which remain in operation. Entergy Nuclear, which operates the plant, has requested that the federal government extend the operating licenses of the two reactors for 20 additional years beyond their 2013 and 2015 expiration dates. To date, federal officials have not acknowledged any public health risks of license extension at Indian Point. This report explores risks from extending the Indian Point licenses. Continued operation of Indian Point raises the risk of radioactivity exposure in two ways. First, the reactor cores would produce high-level waste to be added to the 1,500 tons already at the site, worsening the consequences of a large-scale release. Second, because reactors routinely release radioactivity, keeping Indian Point in service would mean greater releases and risks to local residents. Press coverage: The press conference, releasing the report to the public, was reported by NBC Nightly News, CBS-2 TV NYC, NBC-4 TV NYC, Fox-5 TV NYC, ABC-7 TV NYC, New York One TV, News-12 Westchester, WCBS-880 radio NYC, Columbia University radio NYC, Metro Network (WABC, WOR radio) NYC, Westchester Journal News and The New York Post. On February 20, 2008, RPHP Executive Director Joseph Mangano joined a panel discussion in Toms River NJ on health risks of the Oyster Creek nuclear reactor. This public forum addressed the issue of the health risks of extending the license for the Oyster Creek nuclear plant, allowing it to continue running for 20 more years. The event, attended by 300 people, was sponsored by the Ocean County NJ League of Women Voters. Other speakers beside Joseph Mangano were actor and activist Alec Baldwin, League President Gail Saxer, Dr. Donald Louria of the New Jersey Medical School, and Richard Webster of the Eastern Environmental Law Center. On January 1, 2007, RPHP initiated its educational campaign to inform the public and officials about the health risks posed by the Oyster Creek nuclear facility. Oyster Creek, located just south of Toms River NJ, is the oldest of 104 U.S. reactors. It began operating in 1969, and its 40 year license expires on April 9, 2009. Recently, the AmerGen Corporation (which owns and operates Oyster Creek) applied to the U.S. Nuclear Regulatory Commission, asking for a 20 year extension of the reactor’s license. If the application is granted, Oyster Creek could operate until 2029; if denied, Oyster Creek would close permanently. RPHP selected Oyster Creek for an educational campaign based upon extensive research by RPHP showing that compared to other reactors, Oyster Creek has had high levels of radioactive emissions, and additionally, has over 4 million people living within 50 miles of the plant.